It's our biggest, most revolutionary release yet. What's new in Premier Studio 2016 is everything. With major upgrades to all WebUI components, Crosslight and ClientUI, the new Studio has everything you need to build great modern apps on the web, mobile and desktop platforms. Introducing the all-new Unified Theming framework, you can now universally theme your WebUI-powered apps and give it a refreshed, yet consistent new look-and-feel. Advanced functionality wrapped in a beautiful design. What's there not to love? It's the WebUI you've never seen before, all rebuilt with latest web trends and technologies. All 40+ components are completely revamped from the ground up to comply with the latest and greatest web standards. More than 250+ new retina sharp-icons are introduced in this release, all designed in SVG for the most eye-pleasing viewing experience on all kind of devices and screen resolutions. SCSS, the CSS on steroids, is now the first-class citizen in WebUI components. Featuring thousands of pre-defined variables and mixins, it dramatically changes the way you style WebUI components to achieve consistent look and feel in your apps. Designed for extensibility, the WebUI theme source is completely written in SCSS language, a mature and powerful stylesheet preprocessor that provides more advanced and developer-friendly syntaxes. It also provides convenient built-in functions to work with colors and styles, and also allows you to create your own functions or mixins which you can easily reuse in the styling definition. The SCSS source files will then be compiled to valid CSS files which are compatible with all versions of CSS. A library that provides binding for Node.js to libsass, the C version of the popular stylesheet preprocessor, SASS. It allows you to natively compile .scss files to css at incredible speed and automatically via a connect middleware. It’s the most seamless extension for integrating SCSS experiences right in the Visual Studio environment. Easily override default style variables and mixins to match your application theme. Say hello to the new, gorgeous modern themes in WebUI 2016. Right when you apply the new unified theme, your existing WebUI apps will never look the same way anymore. Every user interface element is meticulously designed with natural colors, spacious layout, larger fonts and retina-sharp SVG icons. WebGrid 10 now brings ColumnSet Designer to the WebGrid component editor for Visual Studio 2012 or higher which works perfectly with high-resolution displays. In addition to many runtime enhancements, WebGrid 10 also includes a redesigned filter bar that is more responsive and works identically across major modern browsers. WebDesktop 5 is a revolutionary release that transforms traditional web apps into gorgeous, ultra-sleek multiple document interface. The new release sports unified modern theme for all 15 user interface components included in WebDesktop, reimagined with timeless industrial-standards design and equipped with scalable SVG icons. Power-packed with essential components for modern web development, WebEssentials 4 joined the UI revolution along with the rest of WebUI components released in 2016 release. The WebListBox now supports clean and professional look such as those featured in modern navigation apps, while WebSlidingMenu has been remodeled with iOS-style navigation menu. In addition, WebRibbon has been reimagined with modern styles which is beautifully aligned with the entire WebUI unified visual semantics. All WebEssential components are now leveraging SVG icons for pixel-perfect and scalable design, taking web user interface to the next level. WebAccordion is a collapsible content panel featuring a modern minimalist style and silky-smooth expand/collapse animation. With tight integration to the Visual Studio IDE, you can easily add new items and set their content directly, or use iframe mode to host external pages. WebCalendar provides a fast, convenient way to navigate by date and select dates and date ranges with modern look and feel. You can also jump to specific year of your choice with built-in intuitive navigation. WebExpander eases the burden of managing lengthy content by dividing it into multiple smaller sections. Use its customizable layout and diverse expansion modes to create a unique and personalized user experience. Using text, images, or both, WebListBox unleashes your inner creativity, allowing you to build eye-popping vertical navigators. A rich set of predefined themes provides an endless variety of choices bound to suit every website. Whether your preference is vertical or horizontal, WebProgressBar provides an elegant progress indicator for your Web application. Available in various rich Bootstrap-themed colors and animations, plug it in, and display progress bars in style. Now you have access to hundreds of WebUI documentation resources online. Getting started with WebUI has never been easier with the new WebUI Developer Center. Moving the documentation online has slashed Premier Studio’s installer size in half and allow us to provide more contextual and up-to-date best practices for modern web development with WebUI. WebUI Studio 2016 includes improved IDE integration and tooling support with enhanced support for Visual Studio 2015. In the previous releases, you are required to run Visual Studio 2015 with administrator privilege when using WebUI components. In this release, administrator is no longer required, allowing you to use WebUI components with standard user privilege. In addition, this release also adds improved support for Windows 10. WebUI Studio 2016 supports latest major browsers such as Internet Explorer 9, 10 and 11, Edge, Safari 9, Chrome 48 and Firefox 44. This release sports a new WebUI Unified Theme template that lets you get started with a new WebUI application with the unified theme enabled, integrated with Visual Studio. Creating beautiful and modern Android Material experience is no longer rocket science. With Crosslight 5, you can now build Material Design experiences such as Floating Action Button, Material Toolbar, Shared Element Transitions, Parallax Scrolling, Material Navigation Drawer, and more with just simple property sets from Crosslight Fragments. Let’s take a look at some of the Material Design Experience offered in this release. Crosslight 5 adheres to the striking, vibrant color palettes Google defined for Material Design, which made Material Design apps easily distinguishable. These colors are easily overridable just by changing the colors.xml inside the Resources/values folder. These prominent buttons provide an easy access to primary actions in the screen. Crosslight 5 lets you add Floating Action Buttons very easily, with just simple API calls from the Fragment. As an integral part of the Material Design, Collapsing Toolbars allow for more content to shine when user consumes content on mobile devices. Crosslight Android Material offers several predefined Toolbar interactions that will delight Android developers, notably that the behavior can easily be enabled with just simple property sets. To customize the Toolbar behavior, all you need to do is simply set the desired behavior in the Fragment level. Very convenient. One of the most interesting interactions in Material Design is the Shared Element Transitions, in which UI elements from the previous screen is persisted and transformed into the other screen. With Crosslight 5, we’ve made it super easy for you to achieve this effect. No more dealing with tedious TransitionSets and XMLs, just simple property sets. Then, in the target Fragment, specify the ID of the shared element. In the source Fragment, specify the ID of the shared element. The comprehensive Material Design specs defined by Google even covers user interactions such as scrolling. The scrolling techniques presented in the document highlights many of the interesting behaviors Material Design has to offer. To achieve this effect in Crosslight Android Material, all you have to do is just override the Initialize method in the Fragment and specify the behavior settings as follows. You can now take advantage of the immersive Navigation Drawer. Originally popularized by Google default apps such as Gmail, Play Store, Inbox, Maps, Google Now, etc, the Material navigation drawer is now implemented automatically when you use the new DrawerActivity. The Material navigation drawer follows the same design guidelines as imposed by the Material Design document. Say goodbye to tedious lines of codes and boost your productivity with these simplified development experiences in Crosslight 5. The new Crosslight Android Material development patterns are now more simplified and organized than ever. Right after a Material project is created with the Crosslight Project Wizard, you'll see a new and refreshed project structure. Most of the unnecessary files are removed, Android class files are now logically grouped. Activity files inside the Activities folder, Fragment files inside the Fragments folders, infrastructural bootstrapper files inside the Infrastructure folder. Launcher icons now use the modern mipmap folders. The new Crosslight Android Material is now loaded with customizations. Customizing different elements and colors for your Android app is now easier than ever. What you need to do is simply override existing keys and values in your application and your it will immediately take effect across your entire application. In previous versions of Crosslight Android, you have to explicitly write a certain code to show the back button in the view. Well, all that has changed with the new Crosslight Android Material. The back button is now visible automatically when you perform push, modal or nested modal navigation. Less code to deal with. In traditional Android development patterns, to specify menu items for your Toolbar, you need to create an XML file and put them under the Resources/menu folder, then specify the layout Id in the Fragment or Activity. That's very tedious. With Crosslight Android Material, all you need to do is simply override the Initialize method and add one line-of-code to add a toolbar item to the Toolbar. Crosslight Android Material takes the pain out of thinking which view context to use, Activity or Fragment. With the new library, Fragment is now the first-class view context with full navigation support. This means you can just create fragments for all your content views. Under the hood, Crosslight Android Material will seamlessly manage the Activity creation when needed. This results in much simplified, rapid and maintainable Android development, where you can simply create views by focusing solely on Fragments. Note that Activity is needed only for the main container in the app, and in certain scenarios when different kind of container is desired. To achieve all the amazing Material Design experience with simplicity, the existing Crosslight Android needs to be re-engineered from the ground-up to achieve full Material Design compliance, resulting to a powerful Crosslight Android Material library. Many tedious operations were streamlined into fragments such as smart TransitionDrawable orchestration needed for shared transitions, parallax effects, floating action buttons, data binding, navigation patterns, and so much more. Let's explore many of the new Fragment classes available in Crosslight Android Material. When working on a list of items, ListView was the popular choice for Android developers. In Material Design, the RecyclerView is now the more preferred component when dealing with large amount of data. With strong view holder pattern, the RecyclerView allows for efficient reuse of item cells without any performance degradation. In order to fully support true Material Design experience, a new RecyclerViewFragment is introduced in Crosslight Android Material. This new fragment supports several new experiences, such as CardView, swipe gesture support, shared transitions and multiple selection. Available from API 21 and above, modernize your Crosslight app right away with CardView support for RecyclerView. It is the perfect presentation technique to display items with rich visual display that fully complies with Material Design standards. Provide quick actions for an item with the swipe gesture support for RecyclerView. The quick actions now shares the same pattern with iOS development, allowing the actions to be defined at the Core level. Building on mature Crosslight Foundation, it comes with comprehensive data binding support allowing you to reuse the same UI logic and action commands in ViewModel. Navigate between the list screen to the item editor screen with Crosslight Form Builder with shared transition support. To enable this feature, you only need to define the shared element and SharedImageIndex in the source Fragment and the target Fragment. With the new RecyclerViewFragment, multiple selection action is also supported. Although the cells are being heavily reused, the RecyclerViewFragment is designed smart enough to remember the multiple selection state for each item when the user scrolls through the list of items. Upon entering multiple selection mode, the existing Toolbar is overlaid by another Toolbar that shows contextual actions. During multiple selection mode, the RecyclerViewFragment's swipe gesture is automatically disabled as swipe gesture makes lesser sense in editing mode. In addition to RecyclerViewFragment, this release sports even greater and wider range of Fragment components to cater existing scenarios supported in Crosslight Android Classic and even newer scenarios. The new SearchableRecyclerViewFragment lets you implement search against your collection in the RecyclerView with the ViewModel. Best of all, it works seamlessly with existing search architecture, so you don’t have to perform any additional effort. Crosslight Android Material comes with an advanced GridViewFragment designed with intuitive API. For example, you can specify the number of GridView columns, item offset, paddings and interaction mode. It also caters to common business scenarios such as displaying items in a horizontal manner, as shown in the following video. This is all made possible, thanks to the new GridViewFragment for Crosslight Android Material. The new Material Design language introduced in Crosslight Android Material allows forms to shine on a new level. With clear design guidelines from Google, Material Design has also manifested in forms, effectively changing how Crosslight Form Builder should look and feel, therefore a new FormFragment is introduced. The entire lineup consisting of 15+ form builder editors are now redesigned and refined for Material design, including its font size, margin, and paddings are now taken into account. In this release, a new MasterDetailFragment is introduced for Material Design. This component was originally introduced back in Crosslight 2, which allows users to perform master detail navigation on tablets. With the new MasterDetailFragment, you can easily replicate the same user experience with Material Design look and feel. If you prefer a iPad style split view, then this is the right Fragment for you. Introducing the new SplitFragment, this Fragment allows you to have a completely two separate Fragments where the Fragment have their own Toolbars each with its own navigation. The new SearchActivity is a special Activity class which handles search performed by child views, for example, view pagers, centralized in just one parent SearchActivity. Inspired from the simplicity and elegant beauty of iOS, the new search activity also feature a translucent background in initial state, giving subtle transition effect and better user experience. The new and modern UI language introduced in Material Design also affects how Crosslight Android Material apps look and behave. Re-engineering was inevitable, and the end result is Android apps now looks even more stunning UI components that blends perfectly with Material Design. Crosslight Maps are also compiled and tested against the new Xamarin support libraries, ensuring maximum compatibility with Lollipop. Due to shared transitions framework introduced in Material Design, the existing ViewPagers also need to be revamped. Now ViewPagers support the use of multiple floating action buttons, for each tab, which are smoothly animated during tab transition from one tab to another. In older versions of Crosslight, Activity Presenters's designs were heavily influenced by the Holo theme, which looks very dark and black. In Crosslight 5, the Activity Presenter's UI is upgraded to use enhanced ProgressDialog so that it displays presenters Android users are familiar with. It still retains three method overloads supported by Crosslight Activity Presenter in the ViewModel. It will be automatically applied when you migrate to Crosslight 5. The older Holo-themed buttons just won't cut it to Material Design. As a result, buttons are also upgraded to use the two variants of Material Design, the Raised and Flat buttons. The buttons feels modern and second nature to Material Design. This will also be automatically applied when you migrate to Crosslight 5. Now can easily enjoy all these great features and start adopting Material Design right into your existing Crosslight apps. In addition to sweet Material designs, Crosslight 5 also sports several API improvements when working with the the Core project. With the new Action Toast Presenter, you'll be able to present new possibilities to your users once they have performed an action, for example, undoing the previous action. The new Crosslight 5 lets you set the Title for each screen straight from the ViewModel, instead of having to manually set each view Title for each platform. Small, yet notable improvement. It’s as simple as 1, 2, 3. Crosslight now fully takes advantage the power of NuGet Package Manager to install, restore and update Crosslight packages. You've successfully installed Crosslight on Mac. Say goodbye to tedious packages reference management. 2. Right click-on your solution and select Manage NuGet Packages for Solution. 3. Search for Intersoft.Crosslight and install to all products. You've successfully installed Crosslight on Windows. For a more comprehensive information on additional commands, updating and restoring NuGet packages, visit the documentation. In addition to Material Support, Crosslight 5 also adds a variety of new UI components to help you build apps faster than ever. With full MVVM compatibility and supporting 20+ types of charts, the new circular gauge lets you display real-time data with customizable chart elements. The charts are designed to load quickly in seconds with lightweight footprint. Capturing signatures with Crosslight is no longer a hassle with the new Signature Pad. Fully built from the ground up, it lets you take signatures with no lag and full MVVM compatibility with the ViewModel and integrates beautifully with Crosslight Form Builder. Display your custom events using Crosslight Calendar 2.0. The reintroduced Calendar View now renders more consistently and neater on smaller devices such as phones. In addition to the very focused improvements towards Material Design, Crosslight.iOS also receives some nice upgrades in this release. These upgrades will surely help you take advantage of the latest and greatest SDKs available for your Crosslight app. Prior to Crosslight 5, when you use the ImageView editor with Form Builder, it can only be contained inside a section that has its layout specified to ImageWithFields. Now you can use ImageView independently regardless of its container's section layout. With Crosslight 5, now you can take advantage of the new modern transparency transition API for UINavigationControllers. Take a look at the video. Notice how the NavigationController's status bar is fully transparent while performing navigation. Typically, achieving this effect is very hard, as common implementations require reengineering of the NavigationControllers, which may lead to a loss of native user experiences, such as the left-edge swipe gesture to return to previous screen. This new API retains the originality and native functionalities of the UINavigationControllers, while still achieving the transparency effect elegantly. As software development world is constantly evolving, so do Crosslight. Adding deeper integration your favorite IDEs, Visual and Xamarin Studio, this release focuses on development productivity while achieving a frictionless getting started experience. Creating Crosslight projects have never been easier, thanks to Crosslight Project Wizard. In our biggest release ever, the Project Wizard is now revamped and further refined. Projects created using the Project Wizard now uses simplified and modernized project structure, with removal of unnecessary files. The generated Core project now uses the standard Profile78 instead of Profile158 for greater compatibility with other third-party components such as Microsoft BCL. WYSIWYG experience when choosing primary colors in creating Material projects. Android files are now logically grouped in respective folders, also adding support for mipmap icons. Created iOS projects now uses full storyboard support, revised Info.plist files to add support for iOS 9 features, such as the use of StackView in Storyboards. Icons and launch screens now use AssetCatalog for centralized assets management. Created projects now reference to Crosslight NuGet packages which greatly simplify cross-platform development workflow. Want to know more information about a particular class, method or property? Simply put your cursor over and press F1 on your keyboard and you'll be taken to the reference documentation. Works for Visual Studio 2012 and above. After you've successfully installed Crosslight onto your Mac, you'll be able to take advantage of the new NuGet package extension for Mac. Resolving Crosslight assemblies are no longer a chore. Just execute this code in the Intersoft Package Manager Extension and Crosslight will be installed automatically to all of your projects. This release adds new Android Material item templates targeting Crosslight Android Material project enabling you to get started quickly with the new Material classes available in Crosslight 5. Simply install the latest Mobile Studio to enjoy this feature on Xamarin Studio and Visual Studio. To help you get started with Crosslight even faster and easier, we've created an entire new, walkthrough-style documentation which guide you through detailed, step-by-step instructions in various development aspects. Note that the new walkthrough documentation is not meant to replace the existing conceptual documentation, but rather a supplementary to the current documentation. New starter walkthroughs will be added periodically. All samples are now directly runnable using NuGet packages, so you don't have to deal with tedious hassles to fix your references. 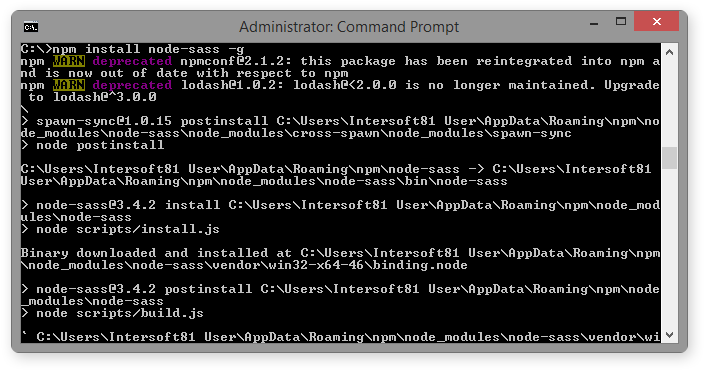 It's as simple as three steps: download the sample, restore the NuGet packages, and run the sample. Crosslight samples that use WebAPI can now run directly – no Windows required. By default, all WebAPI samples are now pointing to Intersoft’s public WebAPI endpoint. If you wish to change it to your local WebAPI, that’s just one property value to set. As Crosslight matures, more samples are being added to the repository, resulting in a humongous download size. This poses a problem when you need to download and try out a single sample. In this release, we’ve separated each sample into its own repostiory, resulting in a cleaner and modular samples. In addition, the samples are now categorized into basic, data, app, services, and ui samples. If you just starting out with Crosslight, checking out basic samples are highly recommended. Everything you love about ClientUI Reporting for Silverlight, now available on the desktop. Full WYSIWYG report designer, pixel-perfect report rendering, desktop-class experience. Author and build gorgeous enterprise reports like never before. Now comes with full charting support! Got an existing app with Microsoft Crystal Reports? No worries. Now you can easily convert all of your Crystal reports to work with ClientUI Reporting with the new Crystal Reports Converter. Simply import your reports and start using ClientUI Reporting today! Supporting over more than 20+ types of charts, ClientUI Reporting lets you integrate various charts inside your reports. Available for Silverlight and WPF, you can now simply drag and drop charts onto the designer surface, simply bind your data, and voila, your reports have never looked this gorgeous. The new charting feature also comes with comprehensive chart designer that allows you to customize various parts of the chart, including the chart’s title, axis, series, and so much more. ClientUI 12 introduces new redesigned technical samples strongly focused on each product's feature. It's designed to help you discover the features quickly and implement them in your application. Check out some of these feature-packed samples below. This sample showcases various controls available in Silverlight and WPF platforms, such as UXQueryBuilder, UXPropertyGrid and UXBreadCrumb with various common use cases. Previously known as UXGridView.Samples, this sample showcases various data-related controls such as UXItemsControl, UXListBox, UXTreeView, and much more. The sample also demonstrates how ClientUI data controls interact with other technologies, such as WCF RIA Services and DevForce Services. Visualize your data in more than 25+ types of charts available exclusively for ClientUI Reporting. The new rendering engine allows your data to shine with pixel-perfect clarity. Best of all, it works for both Silverlight and WPF. Visualize your data in various gorgeous charts available in ClientUI Reporting Suite. Pie, line, bar, area, range, scatter, feel free to display any type of charts, in any way you like. All with high performance. Download 30-day free trial and start building your next big apps today. Got questions or need further assistance? We’re here to help.